Isthmus Wellness provides a variety of holistic healthcare services that address a host of medical conditions you may be experiencing. We believe the highest quality of medical care comes from integrating the very best of complementary and alternative therapies with conventional medicine as needed. We strive to help you nurture your own inner strength and healing potential using holistic services that you are comfortable with. Health challenges and aging gracefully can show us where we need to restore balance in our bodies, minds and spirits. Isthmus Wellness’s services are both complementary to other conventional therapies and effective primary treatment options. No matter where you’re at on your healing journey, Isthmus offers therapies from many cultures that strengthen the body-mind-spirit connection. We consider ourselves on the leading edge of holistic healthcare and an important adjunct to standard medical practices. 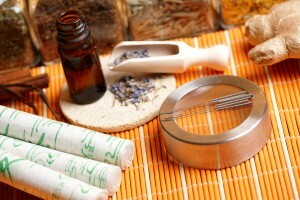 Acupuncture: We offer both gentle Japanese and traditional Chinese styles to meet your specific needs. Fertility massage based on The Arvigo Techniques of Maya Abdominal Therapy(TM): Highly effective abdominal therapy that can address a wide variety of healthcare needs. Chinese Herbal Medicine: Our Acupuncturists can prescribe customized Chinese herbal formulas to address all your health-care needs in one formula. Facial Rejuvenation: Facial acupuncture, facial cupping and customized therapeutic care sessions based on your needs. Energy Healing: Isthmus offers several different forms of energy healing to address emotional and spiritual issues that need attention. Our providers are certified and have years of experience in their chosen form of energy healing. Nutritional Support Consults: We can help you develop new healthy eating habits using traditional Chinese nutritional recommendations. We use only high-quality nutritional supplements at Isthmus to ensure your safety. Infrared Sauna Sessions: An infrared sauna session is a great way to take time out for yourself. Add one at the end of your acupuncture session to enhance the benefits or schedule one to follow a customized essential oil application. The sauna is made for two if you have a partner or close friend you would like to share that time with.